A man accused of carjacking an ambulance before causing a fatal crash last December pleaded guilty in Prince George's County, Maryland, Wednesday. 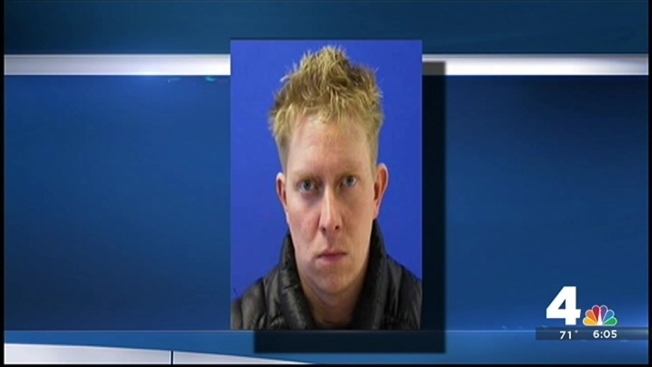 The state is asking for a sentence of 43 years with all but 25 suspended for 34-year-old Sebastian Kellinger Isaksen of Silver Spring. He pleaded guilty to carjacking, motor vehicle manslaughter, DUI causing life-threatening injury, second-degree assault and failure to remain at the scene of an accident. "When you look at his complete history and everything that happened with this incident, he is a danger to society," said John Erzen, of the state's attorney's office. About 5:30 p.m. Dec. 14, Isaksen was driving on the Inner Loop of the Beltway when he rear-ended another vehicle, authorities said. A two-person ambulance crew returning from taking a patient to a hospital spotted the crash and stopped to help. After Isaksen refused treatment, he jumped in the driver's seat and began punching the EMT in the passenger's seat, authorities said. The second EMT tried to pull Isaksen out of the ambulance but he managed to put it in gear and drive away. After getting off the Beltway, Isaksen struck another vehicle on Greenbelt Road, sending it into a light pole and killing the driver, 77-year-old Alvin Hargrave of Greenbelt, and seriously injuring a pregnant female passenger, according to authorities. Isaksen lost control of the ambulance, which overturned several times in the parking lot of a Joe's Crab Shack restaurant and damaged nine more cars. Isaksen was arrested as he left the ambulance's cab and was taken to a hospital with critical injuries. He had a 0.19 blood-alcohol content. “We are pleased that Mr. Isaksen has decided to take responsibility for his reckless behavior because not only did his actions take the life of an unsuspecting motorist, but he put the lives of countless others at risk,” Prince George’s County State’s Attorney Angela Alsobrooks said. Isaksen will be sentenced Jan. 18. "What my wife and I took away from it was whatever happens today it really doesn't change the facts of what happened to our family," Alvin Hargrave's son Mike Hargrave said. "We suffered a great loss."